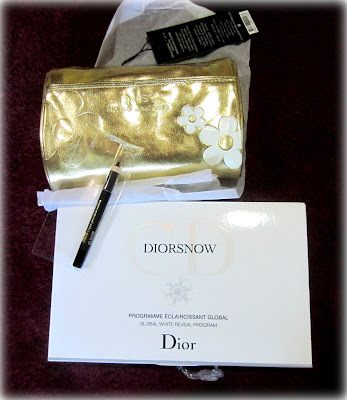 I love shopping online (I even created my own online shop back in 2008!). I have shopped in numerous websites from small online stores in Multiply market, to professional webstores (like this one), to eBay, etc.. and luckily I have no unpleasant experience (except for this one). Well I did have a few disappointing purchases because let's admit it, the weakness of online shopping is you can't see the product in it's true form, and you can't try it on before you buy. And because Indonesia doesn't have a return policy so this online shopping is a little bit tricky. You must really know your true size and you must have a really clear idea on what you like and what you don't like. So anyway, I would like to share my experience when shopping at Best Buy World Indonesia. I don't know if it is related to the famous American "Best Buy" store (which is known for affordable price with good quality), but I noticed from their website that this version of Best Buy World is also available in Singapore, and Malaysia. I actually haven't heard about this website before so this is my first time experience shopping there. 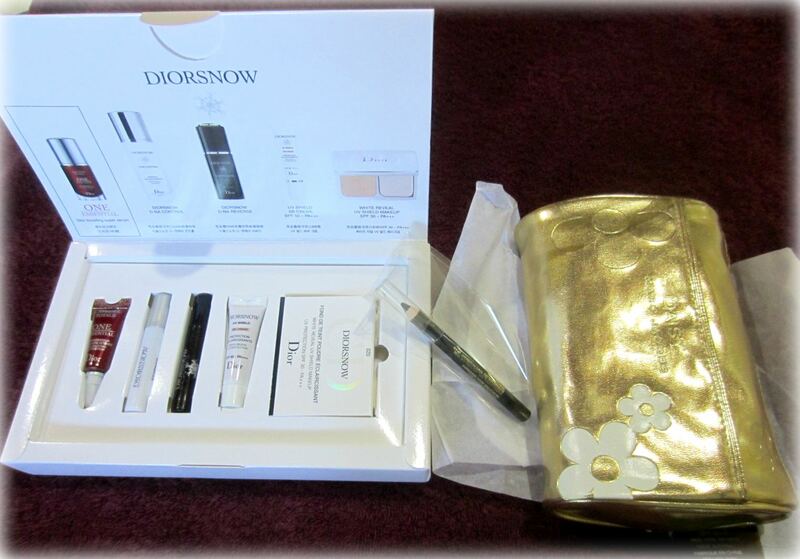 On the website they offer products from cosmetics, skincare, healthcare, fragrances, accessories, bags & purses, food & beverages, as well as home & electronics. I noticed that they also sell sample size or travel size products of fragrance, skincare and cosmetics. The product options are moderate. I hate it when an online beauty store doesn't have too many options on their store, but this one have enough product varieties to browse from. The package came in an ordinary brown paper wrap. The delivery shipment was an average 3 - 4 days. The payment was via a bank transfer. They also accept COD or Cash On Delivery for Jakarta Pusat / Jakarta Selatan addresses. They currently do not accept Paypal or Credit Card payment. Once you finalize your order they will send you email notification telling you what to do next. And after the payment has been made they will also sent you email notification to let you know that your order is being processed. Back to the package, inside the brown paper wrap were the products I ordered, fully wrapped in a thick bubble wrap. It also comes with a receipt of the purchase. "Free Shipping to all Jakarta area for a minimum IDR 300.000 order. If less than IDR 300.000, Delivery Fee will be charged." I thought: okay that's fair enough. 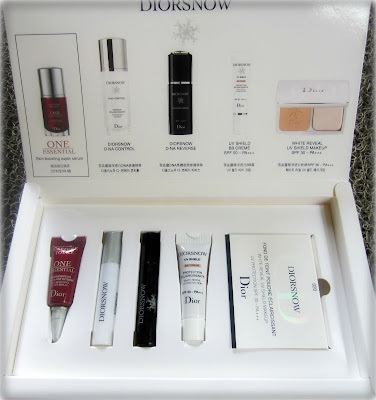 The Dior Snow set was only IDR 114.000 so with my Tangerang address I would probably be charged additional IDR 10.000 for shipping, just like any other online store. 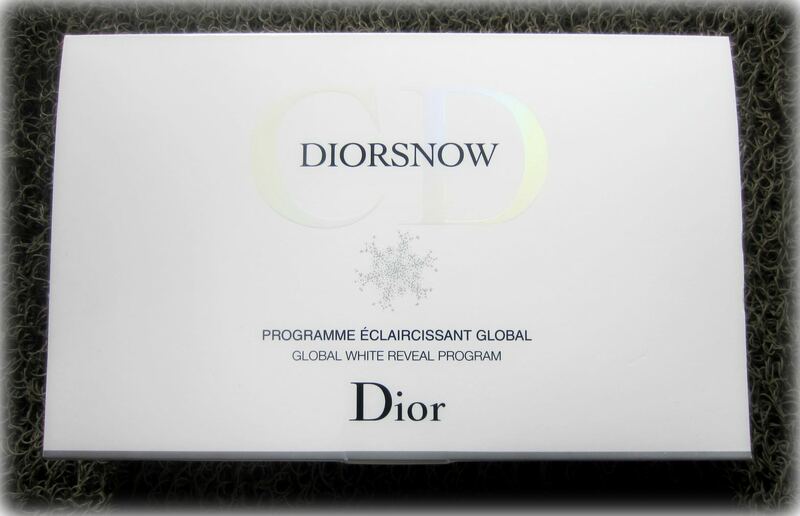 So I put in the DiorSnow set on my cart and continue to the check out page. And you know what happened? On the check out page, it said that because my order was less than IDR 300.000 so I was charged with additional fee of IDR 100.000 !! What kind of additional fee or delivery charge that can be as much as IDR 100.000 ??? This is the first store that I know to have such ridiculous charge like that. It seems that they have a minimum order of IDR 300.000, but why don't they tell us anything about it on their main page? If they put that notification somewhere on their main page I wouldn't be bothered of browsing their store trying to find something that I could buy. Is there anybody who would want to pay additional IDR 100.000 for something that they buy less than IDR 300.000 ? 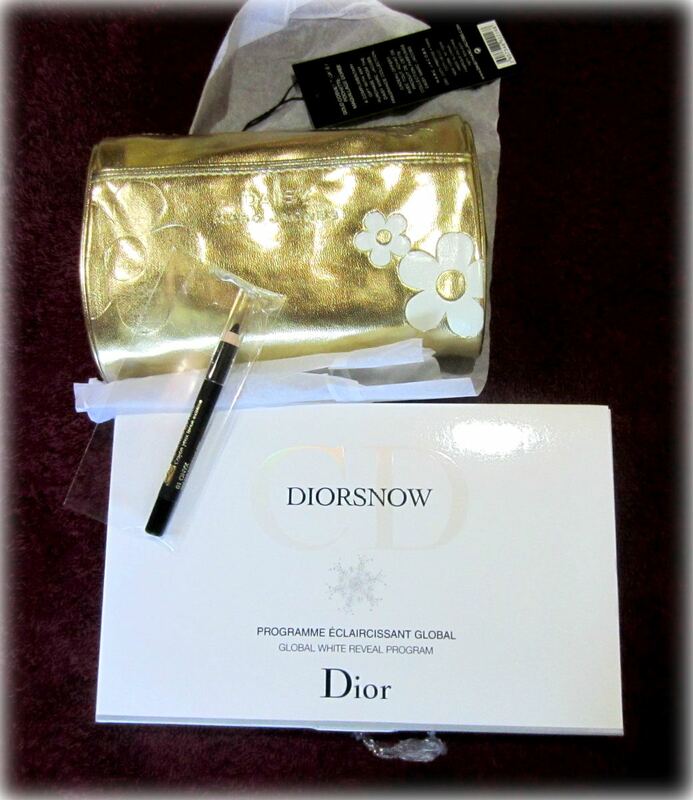 If I had not really want the DiorSnow set I would not continue with the purchase, but since I have browsed around and did not found the Dior Snow set in any of the other beauty online stores so I hate to admit that the set is only available on the Best Buy World Indo. And I thought, okay I have no other choice except to fill my cart so that it reached minimum of IDR 300.000. 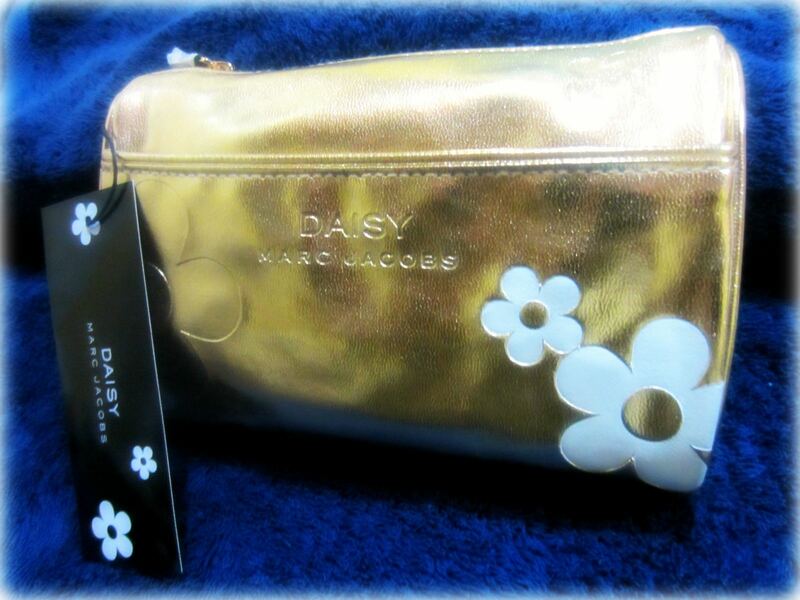 And that's why I added the Marc Jacob's Daisy pouch and the Estee Lauder Double Wear Eye Pencil. I live in Tangerang area so the free shipping doesn't apply to me. 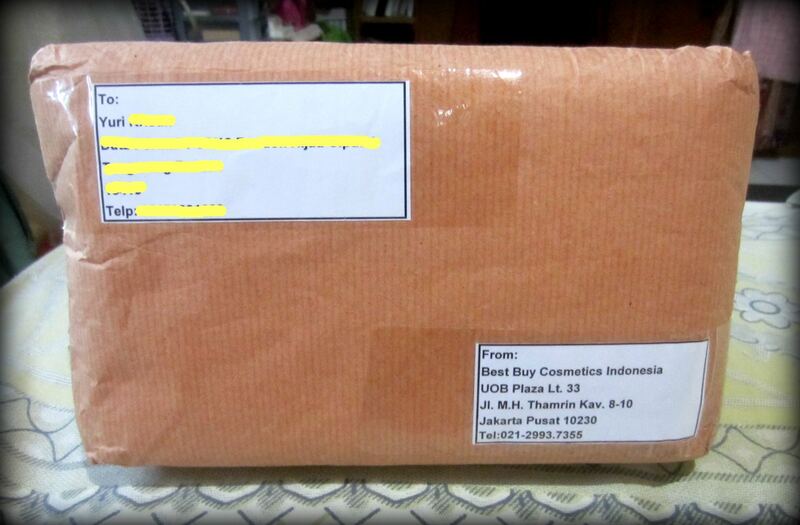 I got an additional shipping charge of IDR 6.000. So that's why I consider this purchase a splurge for me because I originally dont want to spend that much but I had to, because the set that I want is only available there and I was in need of a new skincare regimen at that time. 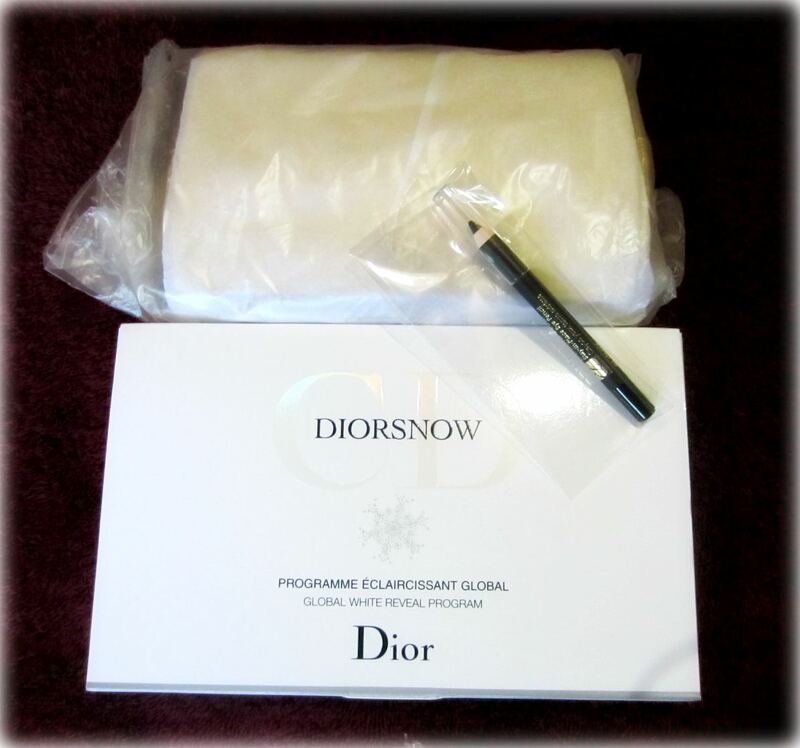 And as if it weren't enough unpleasant shopping experience, when I got the package one of the tube in the DiorSnow set can not be used at all ! The DiorSnow Essence which has a pumped bottle won't dispense anything no matter how much I tried to pump it out, it's like an empty bottle with no content inside. Maybe it was my bad luck so I received a damaged product, or maybe it was because another reason, but all I know is I had a purchase that I can not use! And I was too late to learn that they actually have a return policy in which you can return it if you got a damaged product by the time you received it. 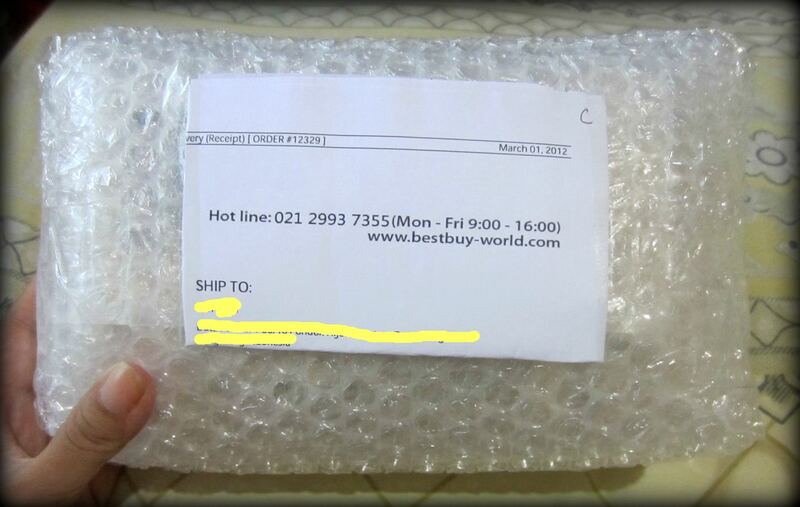 Overall, I personally a little bit disappointed with Best Buy World Indonesia. They should have stated clearly on the main page that they will charge IDR 100.000 for order less than IDR 300.000. 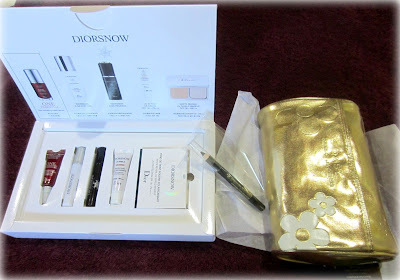 Their price is also a little bit pricier than other beauty online store, but they do have a few products that's hard to find anywhere else such as the DiorSnow set (although I can't use one of the tube). I'm also a little bit disappointed with the damaged product and with their package service in which they sent the package in a plain cheap brown paper. 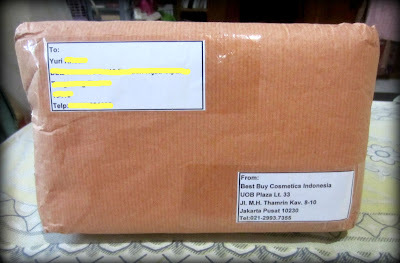 I wouldn't mind a brown paper package if it was from a small online store, but this is a big professional online store, some personalized little details would be nice for personal touch. Again, this is based on my own experience, so anybody else might not have the experience I had. But due to all the reasons above I probably won't be shopping there again in the near future. 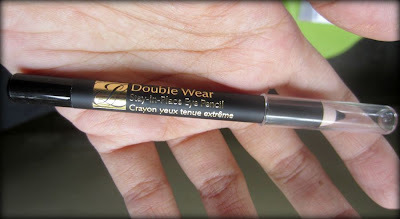 Who might shop here: People who wants to spend big and have a Jakarta address so you'll get free shipping, and people who are looking for less expensive fragrance and/or makeup pouches because they have lots of cute branded makeup pouches there. Thank you udah share pengalamanmu disini yaa..
Hi... terimakasih atas reviewnya kami dari bestbuy-world.co.id.. Sangat mengejutkan sekali saya ketika membaca bahwa ada additional fee sebesar Rp.100.000 untuk pembelian item tersebut. Kami sudah cek dengan nomer order tersebut dan pada data kami untuk ongkir sebesar 6000 jadi total pembayaran yg ditransfer pada saat itu Rp. 342.000 (sudah termasuk ongkir). Dan mengenai untuk pembelian dibawah Rp.300.000 memang kami kenakan ongkos COD sebesar Rp.10.000 + packing fee Rp.5000 tapi kami tidak pernah menarik sampai Rp. 100.000 untuk additional fee. Untuk respon Customer service, kami akan terus tingkatkan pelayanan kami yang tentu hanya kita layani pada saat jam kerja senin-jumat dari jam 9-5sore atau bisa juga menggunakan pop up chat di web kami http://id.bestbuy-world.com/ namun terimakasih atas review dan masukannya untuk kemudian kami tingkatkan pelayanannya. Mau share aja nih sekarang id.bestbuy-world.com berubah banyak. Ga ada lagi minimum pembelanjaan. Halo Best Buy Indonesia, Terima kasih untuk konfirmasinya disini, namun saya juga perlu tegaskan bahwasanya ketika saya melakukan pembelian di Best Buy tahun 2012 lalu (sesuai tanggal di post ini) saya memang sempat dikenakan additional charge IDR 100,000 di shopping cart saya yang awalnya hanya berisi satu barang seharga IDR 114,000 (kurang dari 300,000). Saya masih ingat betul bahwa di shopping cart saya tertera Additional Fee sebesar Rp 100,000. Hal inilah yang kemudian membuat saya pada akhirnya menambah belanjaan saya dengan barang2 lain (sehingga mencapai total Rp 300,000) agar tidak dikenakan charge tersebut. Setelah menambah barang2 lain barulah total belanja saya menjadi Rp 342,000 (tanpa additional fee) seperti yang anda beritahukan diatas. Yang ingin saya tekankan adalah jika tadinya saya hanya ingin membeli barang seharga 114,000 maka saya akan dikenakan additional fee sebesar 100,000. Ketika itu juga tidak ada keterangan jelas apakah additional fee tersebut untuk biaya delivery atau biaya lain. Mengenai perihal data shopping cart saya dimana pihak Best Buy tidak meliihat ada additional fee selain ongkos kirim, itu disebabkan karena memang pada akhirnya saya memutuskan untuk belanja lebih dari Rp 300,000 agar tidak dikenakan additional fee tersebut. Jadi additional fee tersebut hanya muncul apabila total shopping cart di bawah Rp 300,000. Saya tidak menyimpan data screenshot additional fee tersebut sehingga tidak bisa menunjukannya pada anda. Saya juga tidak tahu apakah ketika itu ada kesalahan teknis pada website atau apakah sekarang sudah ada policy baru yang menghilangkan additional fee tersebut, namun pengalaman saya diatas benar-benar berdasarkan pengalaman saya sendiri dan tidak saya buat-buat. Saya hanya menuliskan pengalaman belanja saya di Best Buy seperti hal-nya saya sering menuliskan pengalaman saya belanja di website2 lain pada blog saya ini. Sekali lagi saya ucapkan Terima kasih atas perhatian yang telah diberikan oleh Best Buy dan terima kasih juga karena sudah mendengarkan masukan dari saya dan teman2 commenter lain disini. Saya percaya sekarang Best Buy Indonesia sudah semakin baik dalam service yang diberikan, dan semoga ke depannya dapat terus menjadi lebih baik lagi.